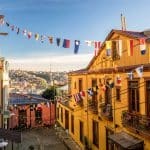 Santiago is city rich in history surrounded by vineyards, valleys and the nearby seaside towns of Viña del Mar and Valparai­so. Arrive in Santiago today where you will be met at the airport and transferred by private car to The Aubrey, your boutique hotel in the city center. A beautiful retreat in the Bellavista neighborhood, located at the foot of the Cerro San Cristóbal Hill. The property is within the Parque Metropolitano, one of the largest urban parks in the world, a short stroll from Pablo Neruda’s beloved house La Chascona. Settle in and relax on the mission-style patio terraces, providing an outdoor oasis overlooking landscaped gardens with the peaceful sounds of cascading water in the background. This evening we suggest dining at your hotel. The Aubrey’s restaurant is managed by Pasta e Vino of Valparaiso, offering their celebrated blend of Italian flavors and Chilean ingredients based around handcrafted pasta (reservation prior to departure recommended). Your day begins with a breakfast of fruit, muesli, yogurt, ham and cheese, and fresh Tuscan olive oil rolls. Meet your guide at 9:00 am for a half-day city tour of Santiago. This panoramic tour encompasses the rich history of this old-modern capital, offering a sense of the contrast between an often turbulent past stretching back to the sixteenth century and the contemporary industrial city with its imposing high-rise buildings. Visit the Plaza de Armas, Santiago’s central square, and the Civic District, home to the Palacio de La Moneda, seat of the Chilean president. Continue on to Santa Lucia Hill, with its stairways leading through ornate fountains and façades to a vista that takes in the city from high above. Your guide will discuss additional sites as time permits. The remainder of the day is yours to explore the city on your own. 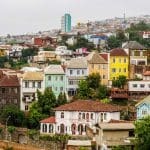 Meet your guide after breakfast this morning and set out together for a full-day visit to Viña del Mar and Valparaíso. Depart together at 8:00am. Continue on to the coastal city of Viña del Mar, also known as the “Garden City.” First, view the lovely Reloj de Flores (flower clock), a city landmark with numbers crafted from flowering plants. 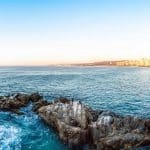 You will have time for lunch on your own at Reñaca Beach or in one of Viña del Mar’s charming neighborhoods, after which you can opt to remain at the beach, explore the city further, or visit the Viña del Mar Casino, founded in 1930. Return to Santiago in the late this afternoon with time to freshen up before heading out to dinner. We will provide you with restaurant suggestions for this evening. Enjoy a leisurely breakfast this morning, meeting your guide at 10:00 am for your private excursion to the red wine region of the Alto Maipo Valley (drive time 35 minutes). Your first stop is the lookout point at Torre Mirador, a tower inside the Aquitania winery built in 1993, where you will find a breathtaking view of the vineyards and the city of Santiago. If weather conditions permit, continue on to the vineyards (suggested from October — March), visiting Aquitania, Santa Rita or Concha y Toro. You will have a chance to visit a local wine cellar, barrel room and hand-labeling operation. The day ends with a tasting and introduction to the different varietals of the region. Return to Santiago by 2:00 pm this afternoon. Your guide will suggest options for lunch en route or upon your return to the city. The remainder of the afternoon and dinner will be on your own. Enjoy your final breakfast beside the peaceful view of Cerro San Cristóbal Hill this morning. You will be collected for your private airport transfer in time to meet your departure flight or the connection to your next Willing Foot destination.